When I was studying Ezra Pound, I thought a lot about imagery and his use of the page. 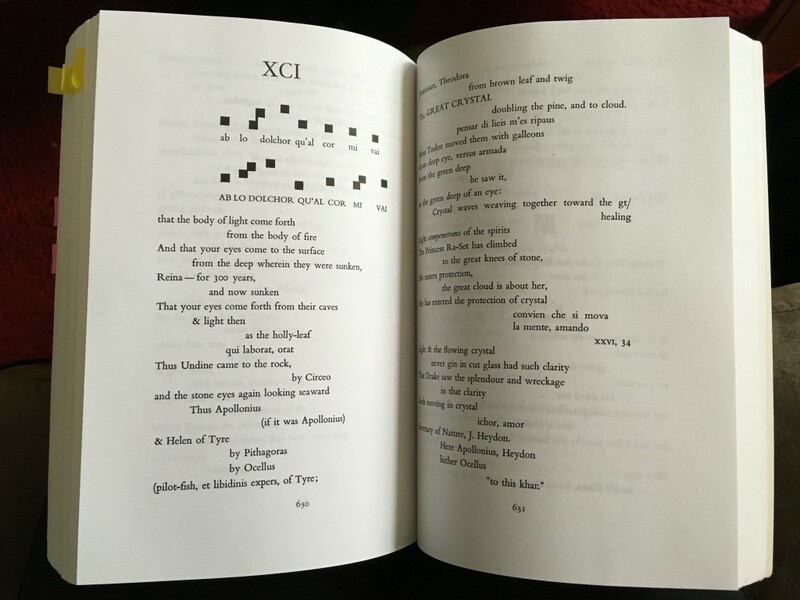 I’d never considered the real visual complexity of his most challenging poems, The Cantos, until I started thinking about the encoding challenge. Our group discussed concrete poetry and other forms where the arrangement of the words on the page contributes to the meaning. 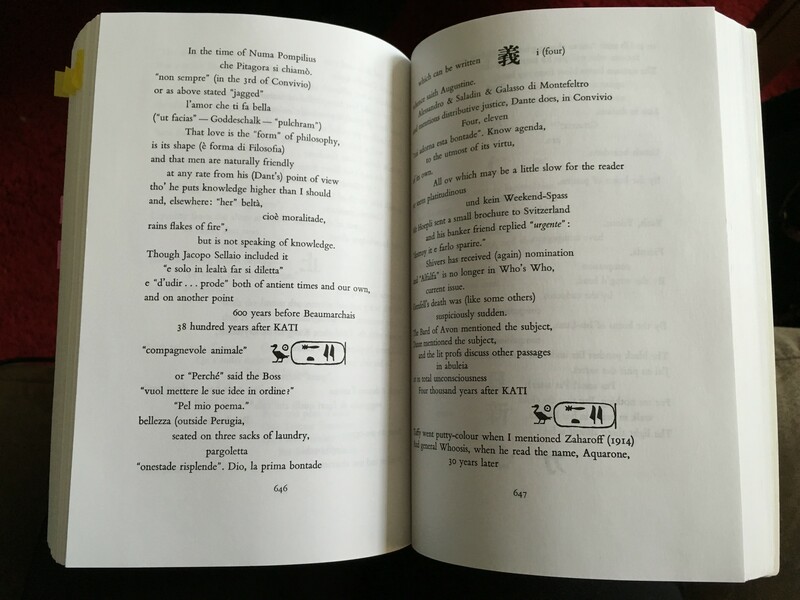 These pages are excerpts from “Canto 85” (LXXXV), the first poem in the Rock-Drill Cantos. The poem combines English, Chinese, Greek, Latin, French… I may have missed a few. What makes this most interesting is that Pound only spoke English. Responding to criticism about the incomprehensibility of the Cantos, Pound response was: if you don’t understand something, skip it until you do understand. Perhaps unsurprisingly, Carroll F. Terrell‘s Companion to the Cantos of Ezra Pound is a larger volume than the Cantos. 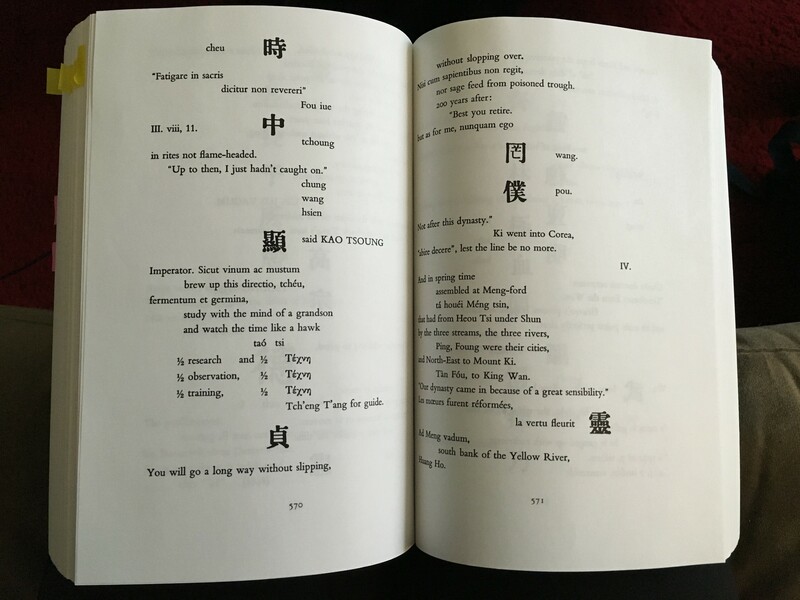 Besides the difficulty of encoding the various languages and accounting for the placement of the Chinese characters, what interested me with this poem is the interpretation. 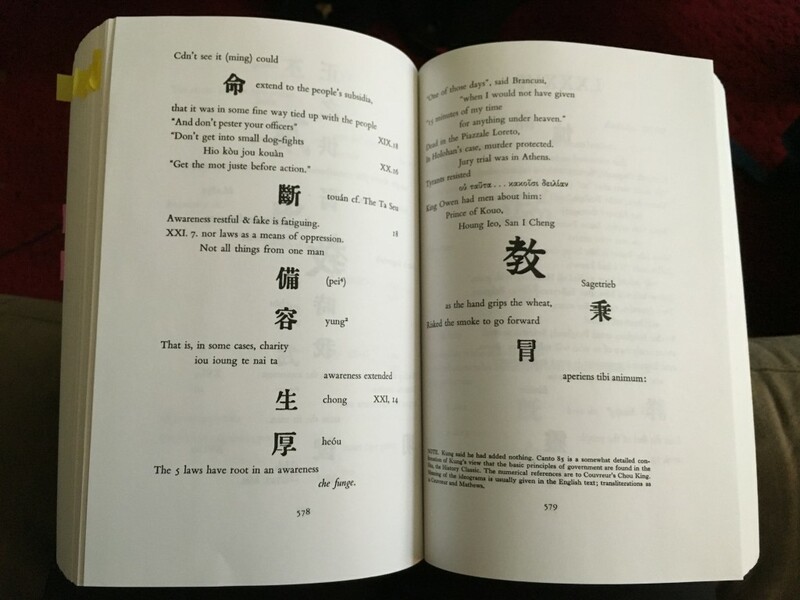 Pound didn’t understand Chinese (alhtough this didn’t stop him from translating traditional Chinese poetry) but, rather, he worked from Ernest Fenollosa’s translations. If these characters are integral to the text, it’s likely that their placement is just as (if not more) important for the overall experience of the poem than their actual meaning. This would have to somehow be addressed. I was searching online to see what people have made of the Cantos and I found The Cantos Project. This project is a scholarly, interactive edition of the poem with criticism and multimedia annotation. Unfortuneately, they have not reached “Canto 85” yet (they are only on the third Canto). Given that this is already a project, it would be interesting to consider how the various visual elements of the poem could be encoded properly. 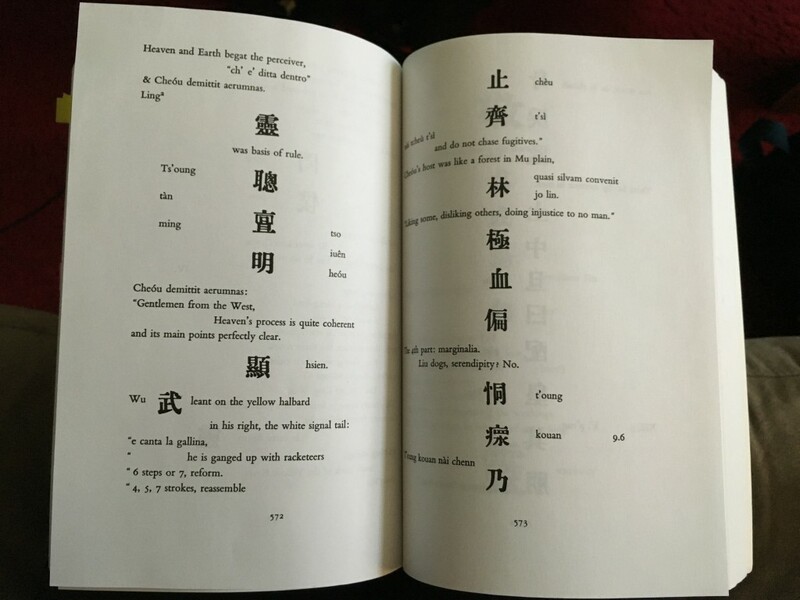 If someone knows of an online version of a Canto that has characters or symbols, please let me know! Everyone seems to avoid these particular Cantos online. The whole book is on Internet Archive, though!